A U.S. arms control official is due to explain to the NATO allies on Thursday the thinking behind Donald Trump's decision to quit the Intermediate-range Nuclear Forces Treaty. Signed in 1987 by the American and Soviet presidents it rid Europe of land-based nuclear missiles. "Oroszország már most megsérti a szerződést." Secretary General Jens Stoltenberg expects Washington to accuse Moscow of building a forbidden missile. "The most plausible explanation is that Russia now is in violation of the treaty. I don't foresee that allies deploy more nuclear weapons in Europe as a response to the new Russian missile," Stoltenberg told reporters in Brussels. The US suggests that Russian cruise missile Novator 9М729 could be deployed in the North-Western part of the country threatening major capitals. Ian Lesser, an expert from the Brussels-based German Marshall Fund of the United States explains why the American nuclear missiles are unlikely to reappear in Europe. 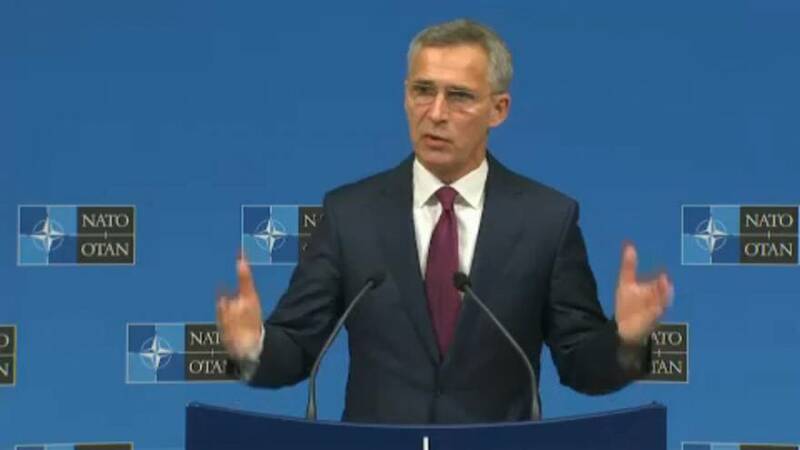 "It would be by it's nature on the territory of NATO allies and it can't be done without the agreement of the allies. The political outlook for that is by no means certain. I mean we had decades when Europe has not had to confront whose kind of questions of nuclear strategy and nuclear forces in Europe. And of course the last time Europe had to confront that in 1980s it was extremely controversial. It excited public opinion in a very dramatic way."